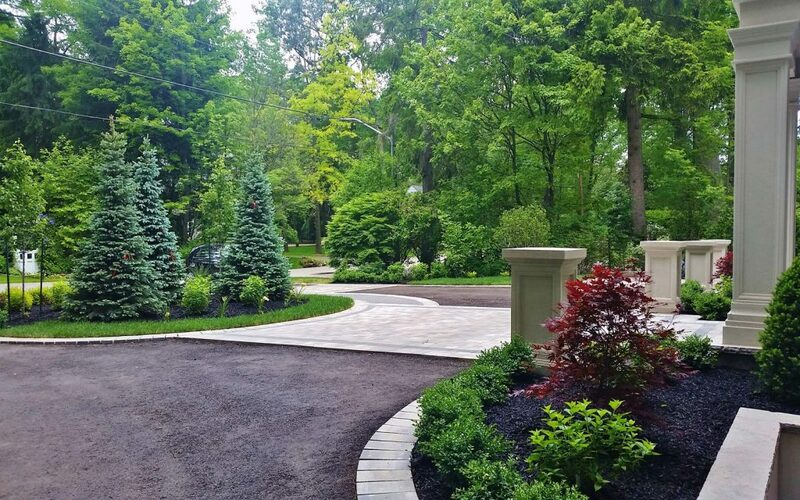 This circular driveway landscaping design in Oakville adds a formal grand entry to this classic house, as well as provides safety and ease for entering or leaving a busy road. It really give a home a lot of curb appeal. Of course, the level of curb appeal depends on how creative you get decorating that focal point island in a middle of the circle. 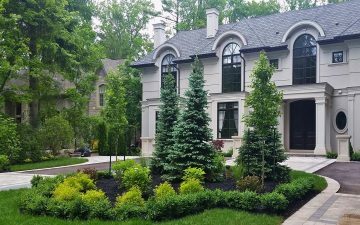 In this project we used three Blue Spruces and geometrical shaped garden around them to provide privacy and enhance architectural style of the house. Combination of asphalt and interlock pavers of the driveway separate pedestrian and vehicular areas and create additional visual interest.